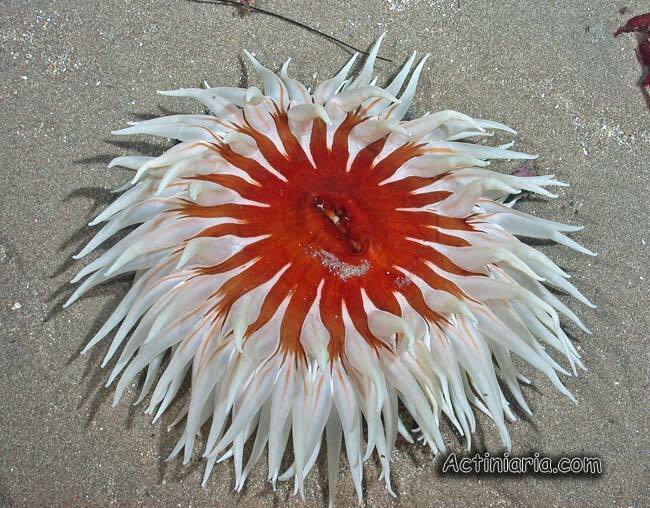 This spectacular species is known from North East Pacific, originally it was recorded from Puget Sound. Surprisingly, despite large size and characteristic exterior, allowing easy identification, its internal structure is insufficiently known and its assignment to Urticina requires confirmation. The species is covered by crowded crusty (adhesive?) verrucae and lives buried in sand. We had no chance to examine any specimen of Urticina columbiana to study its internal morphology and to confirm if it is correctly assigned to Urticina or should be transferred to another genus.